National climate change policy has been an elusive goal in Canada. As a northern country, Canada faces both cold winters and hot summers that contribute to high energy demand and emissions; as a country fortunate to have abundant fossil fuel resources, it is also challenged by the high emissions created by their extraction and use; as a large country with low population density, Canada confronts the reality of high emissions from transportation; and as a growing country, it sees upward pressures on emissions. All of these challenges and many others have made greenhouse gas (GHG) reduction policy quite contentious — politically and economically. The hard reality of developing an effective and acceptable national climate policy plan within a federation that shares responsibility for emissions management, places natural resource ownership in the hands of one level of government, sees uneven emission sources across the country, and needs to speak with one voice internationally has proved too tough to overcome. A new political economy with shifting patterns of economic growth, population change, and political power across the country now bears down even more on the issue. Unsurprisingly, climate change policy in Canada has proved difficult to develop and divisive to implement. Successive governments, federally and provincially, have struggled to find the right formula that reduces GHG emissions within their jurisdiction while maintaining — indeed advancing — economic growth. 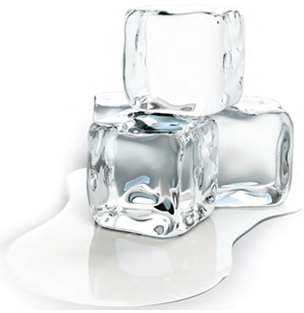 Canada signed the Kyoto Protocol and is now withdrawing from it. Canada announced a national plan and new targets and then sought to align with developments in the United States, leading to a different plan and different targets. Provinces and territories acted both independently and banded together to reduce carbon emissions through a range of innovative, diverse, and traditional measures. Canada now has 14 climate policy plans on the books, one for the federal government and each province and territory. How is this to be reconciled? As public interest and media attention on climate change ebbs and flows, the ability to maintain political momentum on the issue has ebbed and flowed with it. Climate policy horizons do not fit easily with political cycles here in Canada or elsewhere. Yet as the climate changes and awareness grows about the costs of climate inaction — of simply letting climate change play out — Canadians are reminded of our confronting the challenge of climate change at home and around the world. Yet some progress has been made in recent years. All governments — federal and provincial — have set GHG targets, put plans and policies in place to reduce emissions, most importantly, emission reductions have occurred. Despite this progress, climate change mitigation policy is incomplete and remains a difficult issue for Canada. This new report by the National Round Table on the Environment and the Economy (NRT), requested by the federal Minister of the Environment, reminds us of how far the country has come, but also of how far it must go. It serves as a reality check on the state of climate progress in Canada today. It reinforces some key truths about climate policy today in Canada: that a national target needs a concerted national policy behind it, that policy uncertainty still exists and stifles progress, that the country has yet to implement effective policies to address some large sources of emissions, and that all this means progress has been and will remain difficult and uneven across the country. This is the context in which the NRT’s report is submitted. estimate the emissions reductions expected from current and future provincial and territorial climate change initiatives by 2020. The specific purpose in doing so was to inform the Government of Canada’s overall effort to achieve its 2020 target for GHG emissions through its sector-by-sector regulatory approach. This report was developed in response to the Ministerial Reference. It includes our analysis and assessment of provincial GHG reduction plans and progress toward the 2020 target, together with advice on how Canada can meet this target. This is the first national-level study of this type that specifically models both federal and provincial/territorial climate policy actions to assess the extent to which they close the gap to Canada’s 2020 target. It should not be the last. Can we reach our target? The NRT’s work is new and vital for several reasons. No other objective analysis has modelled as many policies at one time. No other organization has brought governments together in one room to discuss these four questions. No other report has developed forecasts based on such comprehensive modelling to say authoritatively what the country can expect. But beyond original modelling and forecasting, the NRT looked at both the why and how of Canada’s path to 2020 to draw lessons for the future. We examine the choices governments have made to date and consider what this means for choices they will have to make in the future. Similarly it is important to note what the report is not. It isn’t an individual audit of federal and provincial/territorial (P/T) policies to determine effectiveness. Our aim was to realistically and accurately estimate the amount of emission reductions Canada could expect by 2020, the likely contributions of both levels of government to these reductions through their respective policies, how cost-effective Canada’s approach has been as a result, and what might be required to close any emission gap to 2020. The NRT’s focus has always been longer term, building on current policy approaches by governments to determine sustainable pathways ahead. The NRT was directed in this Ministerial Reference to conduct a comprehensive review of provincial and territorial climate change plans and assess their likely contribution to Canada’s 2020 greenhouse gas emission-reduction target of 17% below 2005 levels. This report is of limited applicability to the territories. Absolute emissions are very small from each of these jurisdictions. Climate change plans do exist for each, but territorial governments have focused most of their efforts to date on adaptation to the impacts of climate change due to the extent of impacts in the north. NRT modelling reports likely territorial emission reductions within our national-level forecasts but is unable to provide a breakdown for each territory. A summary of mitigation-related challenges facing the three territories is provided in Chapter 3. Consulting with Aboriginal communities was not part of the scope of the Ministerial Reference. However, all communities and all governments have a role to play in working to meet Canada’s target. The NRT’s approach was to conduct original analysis of Canadian climate policies, undertake a clear assessment of our progress to date, and offer considered advice on a path forward to achieving the 2020 target. Here’s how we did this. Analysis and assessment required original economic modelling of Canadian GHG emission-reduction scenarios and policies. The NRT analyzed emissions trends from 1990 through current day and projected out to 2020 as well as 2030, both nationally and at the provincial level. From there, we considered not just existing, but proposed, federal and P/T climate policies and corresponding emission reductions to determine their likely contributions toward achieving Canada’s 2020 emission-reduction target. This was necessary to draw a full picture of what Canadians could reasonably expect from government actions. A clear and transparent vetting process was undertaken by the NRT in consultation with the federal and provincial governments to arrive at the list of policies to include in our modelling (see Appendix 7.7 for full list). All provincial governments were given the opportunity on two occasions to provide their views on our proposed actions to model for their respective jurisdictions. The NRT made some adjustments in response. To carry out the actual modelling, the NRT contracted Navius Research Inc., a leading environment/economy consulting firm that has conducted work on this topic for the federal government, several provincial governments, as well as the NRT. Navius used the CIMS model, an energy-economy model, to generate forecasts of GHG emission reductions as well as to estimate the cost of achieving emission reductions under three policy scenarios. This approach allowed the NRT to provide much more detail than previously had been available about contributions needed from various provinces and sectors and their cost of achieving the 2020 target. A detailed explanation of how CIMS works is contained in Appendix 7.2, and the scenarios we used in the modelling work are spelled out in Chapters 4 and 5. As noted, the NRT also pushed the analysis beyond the stated target date of 2020 to better understand the cost implications of meeting targets later. While the federal approach and a number of provincial plans congruently targeted a specified emissions level in 2020, it was clear to the NRT that the full effectiveness of some policies may not become apparent until after that date. As climate change is a long-term issue requiring long-term policy solutions, going out to 2030 might illuminate options and impacts in a clearer manner for governments. At some point in the future, Canada, as well as other countries around the world, may decide on new targets for 2030 to further address climate change. Our analysis can help inform that consideration for our country. The NRT based its modelling analysis on Environment Canada’s own forecasting inputs to ensure symmetry with its approach. We used established data from the National Energy Board and Environment Canada’s Emissions Trends report. The NRT consulted provinces and territories directly and as often as possible to secure their input into our work as spelled out below. Our analysis is therefore based on sound and established emissions reporting data and information. The NRT also reviewed federal and provincial climate policy plans in detail. We performed a qualitative assessment of each to understand its focus, common and distinct elements, and how they complement the federal approach. Our qualitative assessment characterizes provincial plans based on a set of criteria, identifies leading practices from each jurisdiction, explores key considerations for policy design, and highlights future emission-reduction plans and emerging trends. 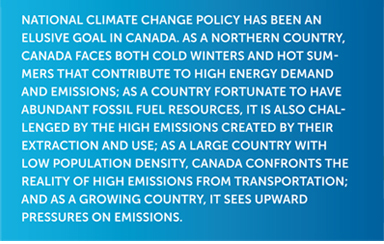 We also undertook a past review of Canadian emissions trends to help explain why Canada is where it is today. In order to provide perspective on the dynamics of climate policy in Canada, the NRT commissioned three research papers by top academic experts in the field. Topics included U.S. climate policy and its influence on Canadian intergovernmental climate policy coordination, intergovernmental collaboration and coordination in the context of federalism, and the environmental and economic impacts of overlap between federal and provincial climate policies. The NRT began its work by advising provinces and territories of the Ministerial Reference and seeking bilateral meetings with each government to help inform our work. Meetings were conducted with every province and Yukon to present information on the Ministerial Reference, as well as to strengthen our understanding of progress on the climate change file both internal to that province or territory and on an intergovernmental levela. All meetings included discussions about both broad policy approaches and specific details of the P/T’s climate change plan, perspectives on the federal sector-by-sector approach, and evaluation and assessment of their own emissions estimates where available. They also included discussions about intergovernmental co-operation to date. Appendix 7.7 includes a list of meetings held, participants in attendance, and the NRT’s request for information sent to provinces and territories. During our meetings, the NRT received constructive engagement from governments. We committed to reconnect with each jurisdiction as we proceeded. Prior to commencing our modelling, the NRT asked each province to review the list of policies we planned to model derived from their plans to ensure that the policies and time frames accurately reflected their own information. Provinces were offered two further opportunities to pass along their suggestions and review our proposals prior to any modelling being conducted. This was necessary as some jurisdictions expressed concern that past Environment Canada modelling did not sufficiently incorporate their realities. More importantly for the purposes of our work, the NRT needed an accurate assessment of any and all proposed policy actions by governments so their likely emission reductions could be measured and considered in terms of achieving our 2020 target. We made efforts to include as many initiatives as practical in our data inputs to ensure a complete a picture as possible. On March 5 and 6, 2012, the NRT, in conjunction with Queen’s University, Institute of Intergovernmental Relations, convened officials from the federal and P/T governments, several NRT Members, climate public policy experts, and intergovernmental experts in Kingston, Ontario. The purpose of the event was to present our early research findings; engage in a dialogue of the issues raised by the assessment; hear about ideas, solutions, and processes to move forward; and invite advice on the report’s content and recommendations. Appendix 7.8 contains the agenda and participants’ list alongside a brief summary of what we heard is contained in Appendix 7.8. This unique event gave officials and experts the opportunity to discuss this issue in the same room. Three roundtable discussions were used to structure the dialogue. The first session focused on forecasted emission reductions from our modelling. The second session concentrated on provincial and territorial climate change plans. The last session focused on future directions for climate policy in Canada, including institutions and successful mechanisms required to achieve emission reductions, development of targets and reporting, and inter-jurisdictional collaboration options. Each session included presentations, a roundtable discussion, and audience questions and comments. The dialogue from all participants provided valuable information and advice that has informed this report. Chapter 2 provides historical context on the GHG reductions file in Canada and presents past and current emissions trends and levels, including sectoral and geographic composition. Its purpose is to factually ground where we are today and how we got here. Chapter 3 includes a qualitative assessment of provincial climate plans. It sets out criteria for assessing the strength of provincial plans, highlights best practices at the provincial level, and discusses several policy challenges that need to be confronted moving forward. Its purpose is to provide information and assessment of provincial climate policy plans. Chapter 4 presents results of the NRT’s original modelling, including estimated emission reductions from current and future federal, provincial, and territorial climate change initiatives by 2020 and 2030. These results estimate the extent to which existing and proposed initiatives will contribute to achieving both provincial and federal targets. It estimates the extent of overlap between policies by both levels of government. Regional- and sector-level perspectives are also provided. Its purpose is to assess Canada’s progress toward 2020 and see how much of a gap remains. Chapter 5 builds on previous modelling results, providing new modelling data to assess the cost-effectiveness of Canadian climate policy to date and going forward. This is used as a base for then identifying the sectors and provinces that should be targeted for future cost-effective emission reductions and the level of costs associated with these additional actions en route to achieving the 2020 target. Its purpose is to establish a cost-effective road map forward for the country. Chapter 6 draws our analysis and assessment together and sets out the report’s conclusions and implications. Its purpose is to summarize key findings and provide the NRT’s advice to the Minister of the Environment. [a] The NRT did not meet with the Northwest Territories and Nunavut.